How can you help the areas in need? Most people know about the American Red Cross but you can also help by the Adventist Community Services and ADRA have been helping provide people needs and are often found in areas that others have not been able to reach. Additional information about either can be found at your local Seventh-day Adventist Church. If you are outside the US you can find a church VIA the World Church Website. 2005 Tropical Cyclone Names and Archive - Storm summary available within days after storm dissipates. To download the DeLorme Street Atlas File for the 2005 season click here. 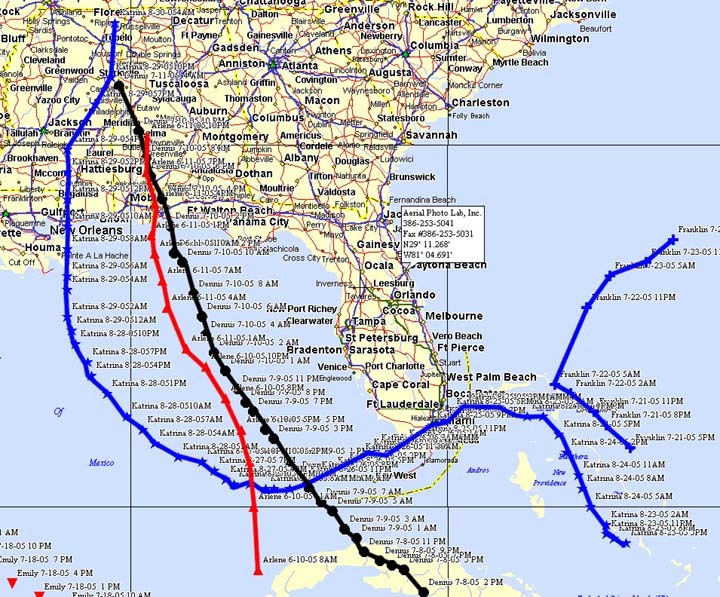 The following links will take you to the individual hurricanes that hit Florida hard in 2004. 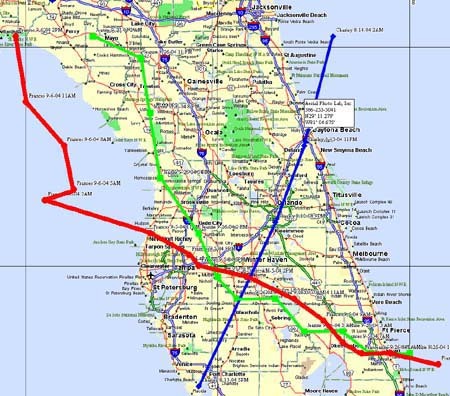 The image below shows the path of the hurricanes that have attacked the state of Florida in 2004. 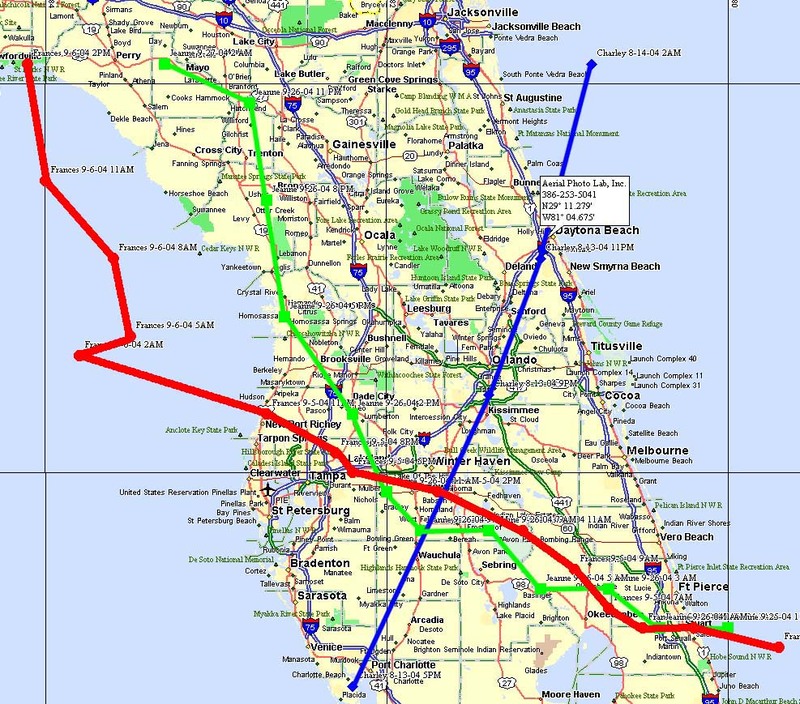 The Blue Line is Charley from Labor Day Weekend, the Red Line is Frances that hit September 4th to the 6th in the peninsula. The Black is Ivan which at the time of writing this is still to the south of the image. If you wish to see a larger image please click on the photo. To Download a Street Atlas File of Charley, Frances & Ivan for your computer click here. IR one can be seen at night but this may take a few minutes to open on dial up.